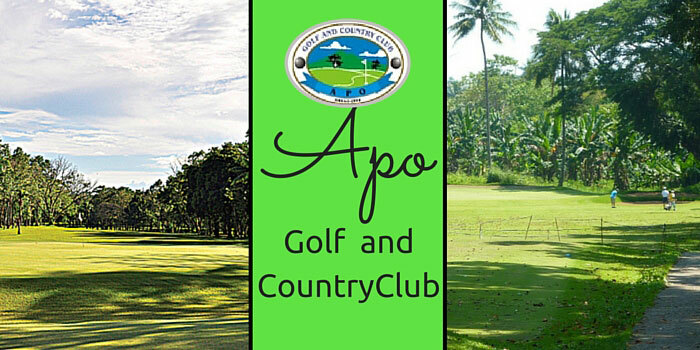 Dubbed as the Gentleman’s Course and oldest course in the city of Davao is Apo Golf & Country Club. Its construction started in 1968 and led to an amazing 18-hole course that has been visited by some of the most legendary golfers in history. Some of these legends include Jhonnel Ababa, Felix Casas, Antonio Lacuña, Bong Lopez, and Elmer Salvador. 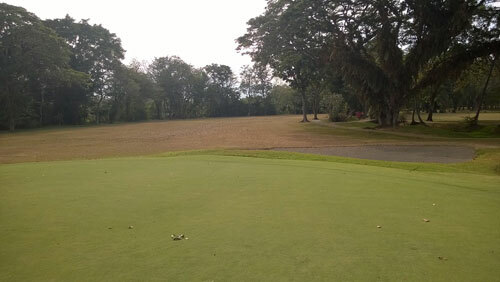 The golf course is lined with varieties of unique tropical trees like Coconut and Mahogany, as well as frequently scattered with sand traps, and designed with many water hazards. 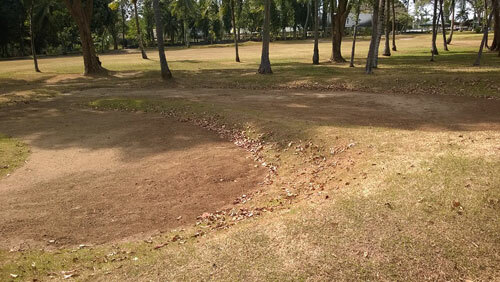 The course’s most infamous water hazard is a large pond that was placed in an unorthodox position. It is directly in front of hole no. 11, which is the main challenge to beat at the course. 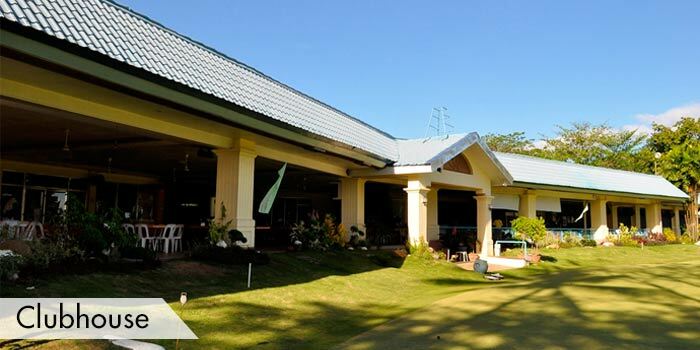 The Apo Golf and Country Club clubhouse also provides excellent practice facilities,where members can warm up as well as a swimming pool. During your round, if you get thirsty or hungry, you can also take a break at one of the tee houses along the way or wait until you get to the clubhouse restaurant. 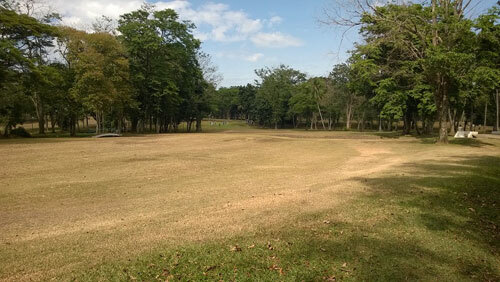 The golf course is open to the public, so guests are also allowed to play at the course and access its facilities. This is a members only,private golf course. 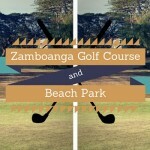 If you want to test this course,book through GolfPH for a guaranteed tee-time reservation. 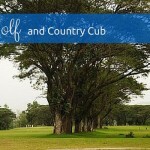 How do you define a golf course’s playability, its likeability, whether you want to play it again? For me, it would be (and in no particular order), ease of access, course conditions, ambience, caddy knowledge, course setup (greens, fairways). There could be a lot of you who would have different ways of looking at this. What really makes a course tick? 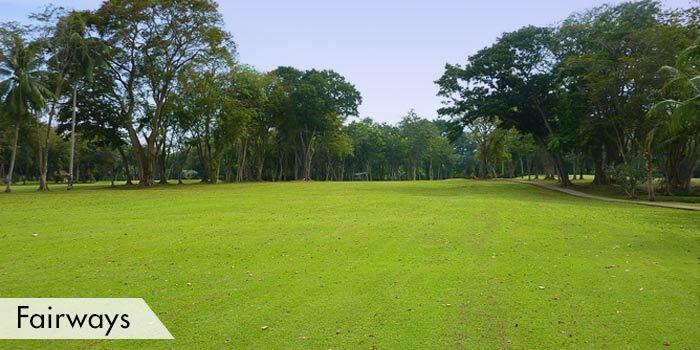 Do you usually play a course because there is a lack of viable options near you? Would you play it because it was cheap and accessible? 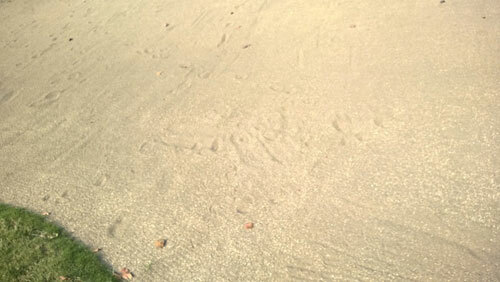 Or because the course was so damn beautiful that each hole left an imprint in your mind? Most of you have read my reviews or some of you and you have seldom seen me write a critical review. Well… you are about to read one. 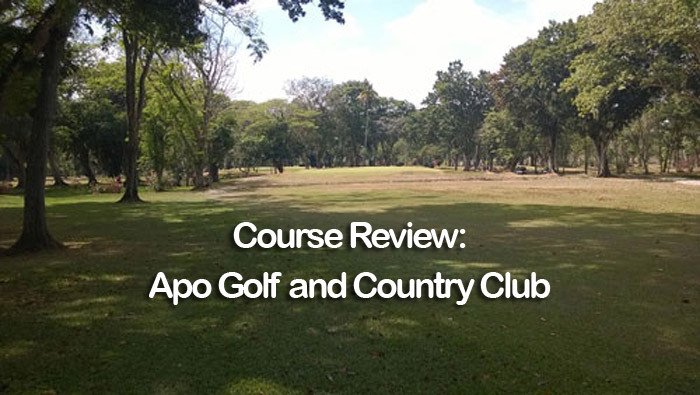 This review is about Apo Golf and Country Club in Davao. I have trolled the net trying to find a good and decent review of this course but have failed so far. 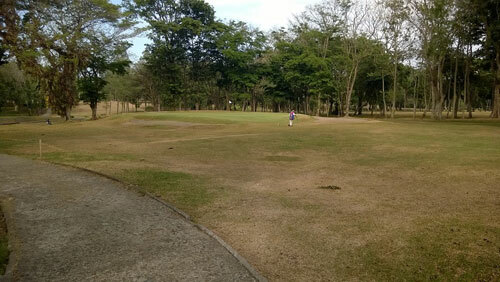 I decided to visit the club on a hot Saturday afternoon and put the course to the test. Accessible from the town center? Not quite, but not too far either. 2 points out of 4. 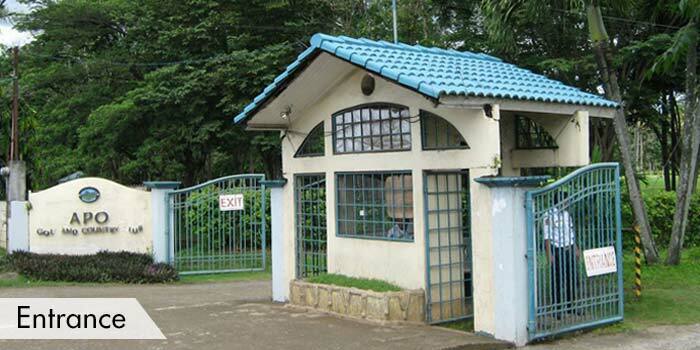 Clubhouse? Decent and clean. 3 points out of 4. Lockers were large but they only gave me and my companion 1 locker to share which was quite odd and silly. Maybe I should deduct a point there. The showers which we used later (single not sharing) were clean and well appointed. The restaurant at the course was decent and clean but the fans were not working. 1 point out of 4. It was 39 outside and not sure why but the fans were just not working. The driving bay is maintained by someone else and is short and well, muddy. 2 points only. Anyway, we went to the registration and there was a personable lady at the counter. 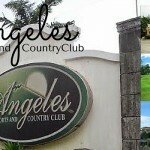 She refused to accept my golfph card saying that there was no agreement with golfph. She did however tell us that instead of paying the regular green fee, we could be inducted into the monthly medal tournament and we would only pay 900 as green fee. I thought that was excellent service and thought that this was a good start to the day. 4 out of 4 (keep up will you). Great deal for 18 holes or so we thought. A gentleman then informed us that holes 10-12 were closed due to bees!!! Bees? Did someone hit a hive? Anyway, problem over, we went to the 1st hole. 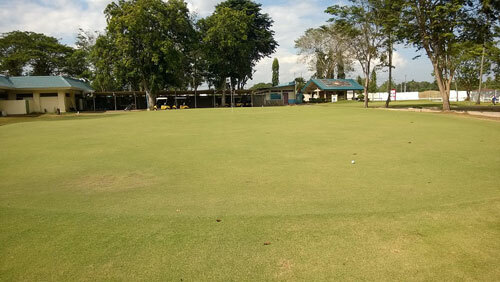 My friend who is a rank beginner and a quite ‘green’ golfer proceeded to shank the first ball right on to the foot of an elderly gentleman who was so taken aback that he immediately ran away to the putting green. Not a great start I thought as I shirked away from his menacing look. 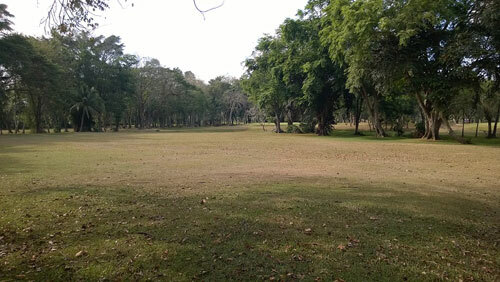 The 1st hole is an easy start and a short par 4. Easy way to start the course. I hit my drive to the right among the trees and had to pitch out. The front nine is quite an easy romp and should not deter a decent player (I consider myself decent but my scores don’t back up my claim). We did not have a chance to play the 10th, 11th, 12th and 13th which were cordoned off due to the bee problem. Apparently this happens quite often I was told. If it does then the management should have done something about it. Apparently, no one cares, I was told. I did since I could only play 14 holes and that was hardly fair since I was competing in a tournament (or was I). The course went on and as play progressed; my scores did not take a turn for the worse. I wish I could say the same for my friend. He was visibly tired and this being his first ever 18 14 hole round, he was feeling the effects. It is definitely a walk-able course but I was feeling pissed since we were informed by the registration desk that the carts were only allowed on the cart path. I do want to deduct a point but the lady was nice so…We could see the group in front of us zipping around on the fairways throwing mud and grass in their wake. Seemed like a regular “need for speed” party going on. We, well, just walked around; looking for the next shady tree of which thankfully, there is an abundance of. The back nine to me was challenging; with forced carries or layups (Which made sense), good bunker placement, tough greens. The bunkers are hard, like concrete and not maintained at all. The course is strewn with leaves which, for me at least, gives off a nice, oldly vibe which is quite pleasant. 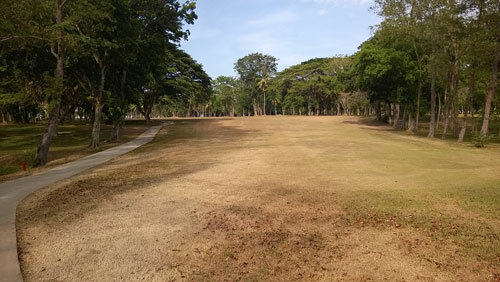 The fairways are brown with parched grass and rock hard. You will definitely find your ball rolling and then some. I found that out the hard way when I saw my drive run and run and then trickle into the water on the 14th hole. I went to the fairway and found some hard earth and I mean earth, with nary a grass in sight. The par 3s are the best feature of this course, with bunkers on either side and are of varying length. I thought they would have been a hoot and a half, if only the greens were better. I actually saw my putt bounce 10 times on its way to the hole. I thought maybe my stroke was off and tried another one for kicks. Nopes, same result. We finished the course in a little under 3.5 hours, walking, which was not bad at all. I just had this nagging feeling that something was amiss. I was tired yes; my round was going ok, with nothing greater than a double. I was posting some decent numbers but something was not right. Then it hit me, I would not be able to remember any hole with clarity when I would sit down to type this review. I do remember the short par 4 where I smacked a 200 yard 7 iron. I would remember the massive drive I hit on the 18th but those I remember because I hit the ball well not because of any particular hole. 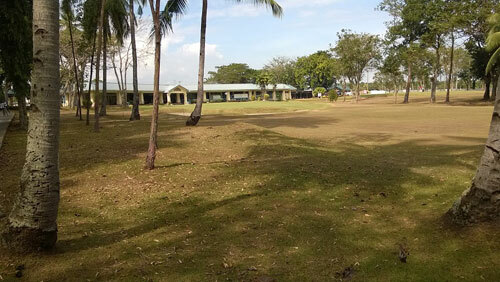 I mean, I still remember a lot of holes which I have enjoyed playing on almost every course. Even those courses where I do not have a single shot of note, I remember a few outstanding holes. Not one on this course. Maybe people may disagree but again this is my personal opinion. I just did not find the course memorable and struggle to find even one hole of note. It’s not a terribly long course. 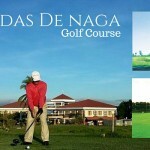 Its narrow, challenging, lined with trees and the fairways meander without thought. I mean, why would you have someone hit an iron off the tee on a Par 4 which stretches 400 yards (You cannot hit drive because the trees on the left will catch your ball). Sure, the pros have all the shots and they can hit a draw around it but for a 20 handicapper that is simply not on. 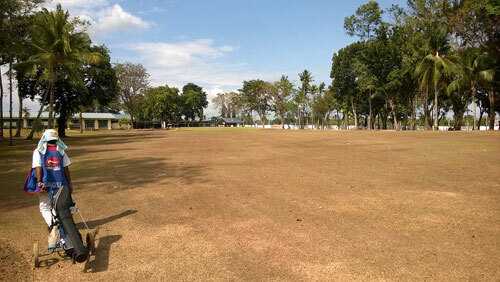 People may wax eloquent about this course and indeed, a lot of great golfers the Philippines has produced have cut their teeth on this course. However, this course is not for me. 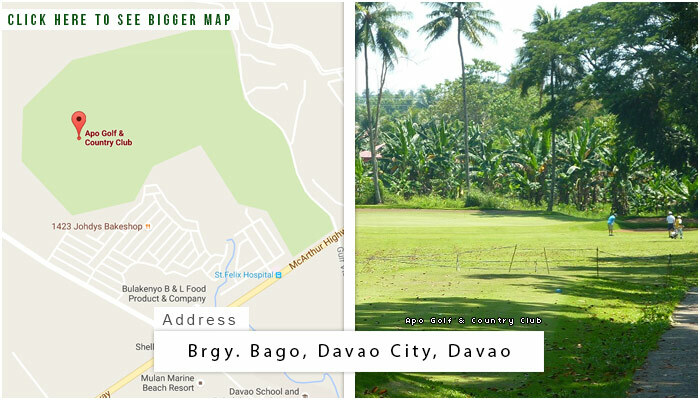 Give me the 9 hole Matina golf course any day, with its short Par 4, 8th hole where the green sits 30 feet above the fairway. Even that nonsensical excuse of a course has a memorable hole. Well, Apo golf, you have a winner on your hands for a lot of folks but one of them ain’t me. I guess I will stick to that 9 holer where the grass is non-existent and the caddies are perpetually tired. At least it forces me to think back on my round and I can remember the holes with extreme clarity. Till next time or maybe not. 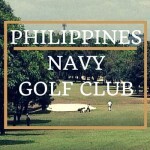 Disclaimer# My views are mine alone and do not reflect the views of golfph. I have not been paid to write this review and this is an unbiased appraisal of the said course. I should have done a final point tally but thought better of it. I think you get the picture.